Happy Kitchen Sink Stamps Monday thanks for stopping by today! Before I share this weeks KSS card, I'm excited to let you know that Kitchen Sink Stamps will be releasing new stamps in June, more details will be posted next week! Graduation is this week, and I'm in need of a card for DS. I used Kitchen Sink Stamps 3 Step Graduation for both the Diploma and sentiment. 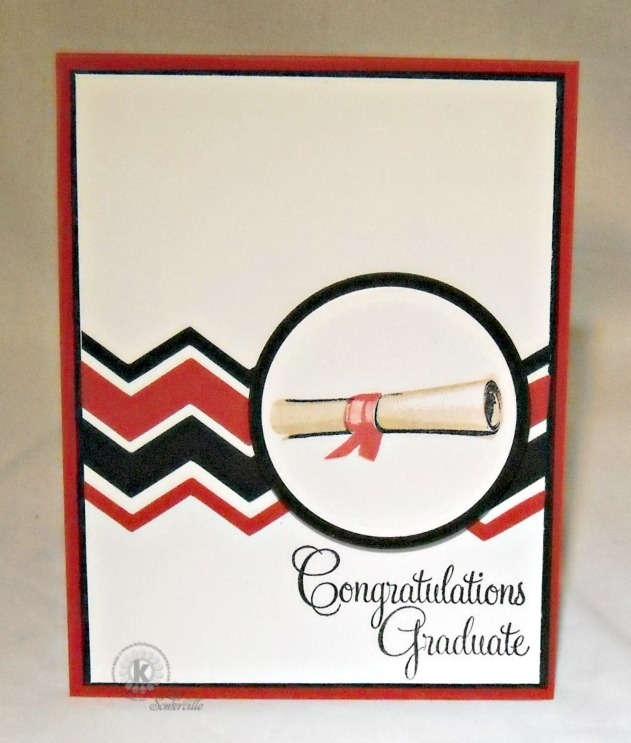 To Chevron strips were cut with the Silhouette from Black and Red card stock and adhered to the White panel with a Glue Pen. Great card, Lisa! Congrats to your son!! !